Oh boy, what a year 2014 has been. To think that I began the year with an idea of taking part in celebrating Tove Jansson’s cetenary and ended up falling in love with her short stories is incredible. I can’t believe that it has only been a year since I re-discovered Jansson. After reading the wonderful Tove Jansson biography by Boel Westin, I challenged myself to read at least 4 books by her that weren’t part of her Moomin series. 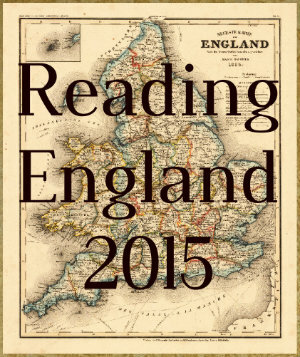 I completed the challenge already in November, so here’s a short wrap-up of the books that I read this year, with links to the actual reviews. Overall, I’m very pleased with my success in the challenge, and I plan on continuing to read all of Jansson’s works. After that I can always go back to the Moomins and start all over. I read my first book in the challenge already in February, and that was The Summer Book. Probably one of her most famous and best-loved adult fiction novels, The Summer Book narrates the summer adventures that a grandmother and her granddaughter share on a small coastal island. Heartwarming and insightful, the small vignettes shine light to the great and small differences between different generations and life in general. This book captures summer from the first warm day to the moment when leaves turn yellow, and it is definitely a book that I will re-read in the future. I gave The Summer Book 4/5 stars. Next up I read Sculptor’s Daughter, which I finished in May. 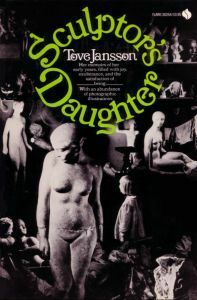 Sculptor’s Daughter was Jansson’s first short story collection aimed at adult audiences and it is said to be autobiographical. The stories are told from the perspective of a young girl and it shows her view of life, the small details that matter the most and the wonders of imagination. Endearing and sometimes older than her years, this collection definitely shows Jansson diverting from the Moomins but still carries many elements and characters that are similar. I gave Sculptor’s Daughter 3.5/5 stars. The third book for the challenge was the untranslated Letters from Klara and Other Stories, which I read in July. In contrast to the two books I had read before, Letters to Klara was one of Jansson’s last short story collections and it clearly shows how her style has matured and how she has perfected the simplistic beauty in the narration. All of the stories follow different characters – some reminiscent of characters in earlier collections – and in different stages of life. It wasn’t perhaps as cohesive as The Summer Book, but the individual stories themselves stood on their own two feet. Thus far my favourite collection from Jansson, I gave Letters from Klara and Other Stories 4.5/5 stars. And as the last book for my challenge, I read Fair Play in November. Fair Play follows the relationship of two independent women. Both are artists but with different approaches to creating art and working. The stories follow their everyday life from travels and dinners to shared movie nights, and focuses on trust and equality in a relationship as well as the necessary quarrels. The relationship of the two female characters resembles that of Jansson’s own relationship with her partner Tuulikki Pietilä, and it is hard not to read this as an autobiographical work. I gave Fair Play 3.5/5 stars. About a year ago I rediscovered to joys of reading and found an active book blogging community that I wanted to become a part of. Looking back, it seems like all that was only last month. Time passes by so quickly and the year has been filled with so many remarkable books, so many interesting bloggers that I’ve met and abundance of books that I now want to read thanks to them. Reading has become a part of my identity and because of blogging, I’ve found confidence in my writing. Reading some of the older reviews, I’ve noticed issues and corrected typos, but also remembered how happy I felt in writing those little reviews. I also remember being happy when I noticed that my blog had 20 followers, surprised when the count hit 50, and unrealistic when it passed 100 followers. At this very moment the number stands at 137, but more important than the numbers are all the lovely people who comment on my posts, like, and share them. It warms my heart every time I see a new notification. So in order to thank all of you who have followed, liked, or just found your way into this blog, I decided to host a small giveaway of a book that made me fall in love with this author. I reviewed it as part of a challenge I set myself in the beginning of this year, and I can’t even remember how many times I’ve recommended it to people. Although it isn’t my favourite book by this particular author, I think it is the best book to get into her writing. 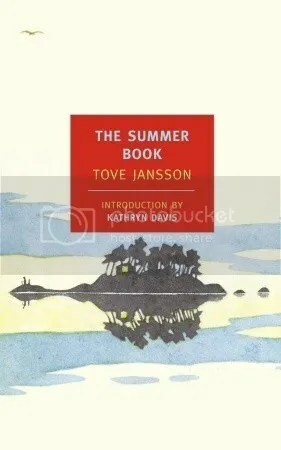 And if you haven’t guessed by now, I’m talking about The Summer Book by Tove Jansson. 2. You have to be over 18 or to have your parent’s approval. 3. You have to be willing to give me your address for the shipping. 4. You have to comment on this post saying that you’re participating in the giveaway. 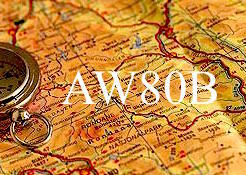 The giveaway will be executed via Giveaway Tools and will be open until October 19th. Tove Jansson’s first book for adults was a memoir, capturing afresh the enchantments and fears of her Helsinki childhood. Restored to its original form, Sculptor’s Daughter gives us a glimpse of the mysteries of winter ice, the bonhomie of balalaika parties, and the vastness of Christmas viewed from beneath the tree. As part of my 2014 resolution to read at least 4 adult books written by Tove Jansson, I picked up her novel, Sculptor’s Daughter, which is a highly biographical collection of short stories. The narrator in these stories is a young girl, presumably Tove herself, and feature several characters in passing. The stories include scenes of everyday life, such playing games with friends, making adventurous journeys, spending time with busy parents, and so on. The vivid imagination of a child is well expressed in the book and reading these short stories felt like I was going through my own memories from childhood. For example the story of ice skating outside, with the darkness that surrounds the rink and the dark ice, I could sense the mixed feelings of both terror and excitement. The language and writing style are charming, and the stories heart warming. Jansson immerses herself into the world of a child, and it is easy to see why she begun to write children’s fiction. In fact, there were several scenes that reminded me of similar scenes or places in the Moomin books. 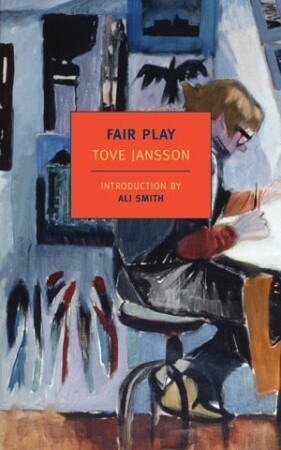 Sculptor’s Daughter was published when Jansson was already well known for her Moomin books, and it was her first attempt to branch out of the box of writing only ‘Moomin fiction’. The atmosphere of the book is similar to that of the Moomin books, but the stories feature also the negative feelings, jealousy and disappointments that are part of growing up. Nevertheless, I did not find Sculptor’s Daughter as enchanting as The Summer Book. Although all of the stories were beautifully written, I found some to lack certain depth or insight that was found in the previous book. However, Sculptor’s Daughter is a great adult novel debut, and a good introduction to Jansson’s style of writing. 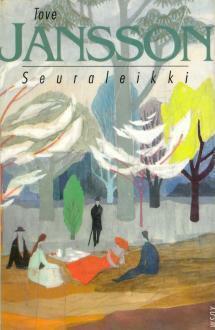 I’d recommend it especially to fans of the Moomin books. The Summer Book distills the essence of the summer—its sunlight and storms—into twenty-two crystalline vignettes. This brief novel tells the story of Sophia, a six-year-old girl awakening to existence, and Sophia’s grandmother, nearing the end of hers, as they spend the summer on a tiny unspoiled island in the Gulf of Finland. The grandmother is unsentimental and wise, if a little cranky; Sophia is impetuous and volatile, but she tends to her grandmother with the care of a new parent. Together they amble over coastline and forest in easy companionship, build boats from bark, create a miniature Venice, write a fanciful study of local bugs. They discuss things that matter to young and old alike: life, death, the nature of God and of love. “On an island,” thinks the grandmother, “everything is complete.” In The Summer Book, Jansson creates her own complete world, full of the varied joys and sorrows of life. 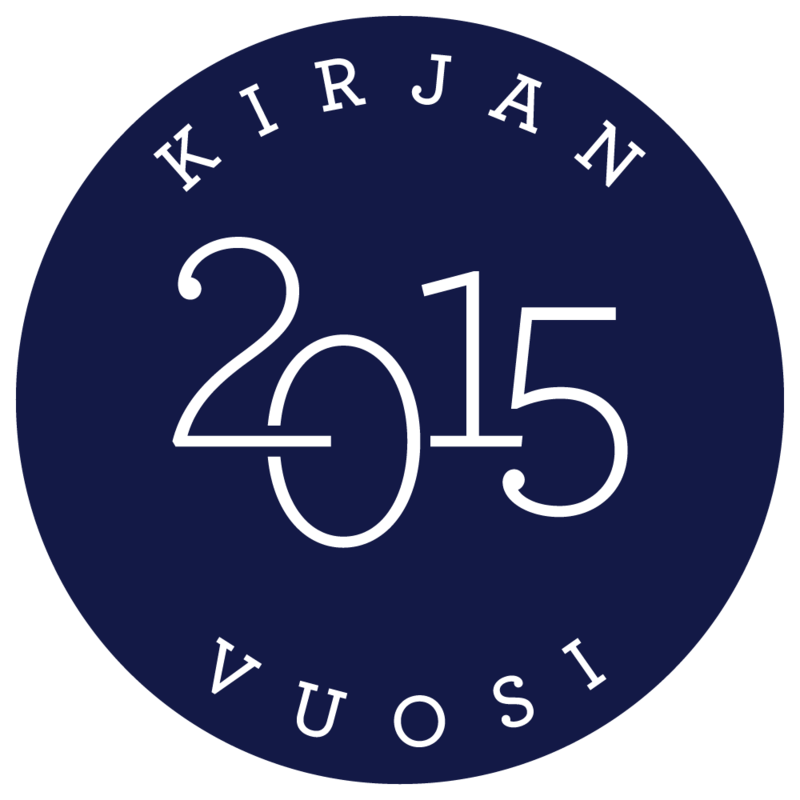 One of my challenges for 2014 was to read at least four adult books written by Tove Jansson. Couple weeks ago I visited my local library to return some books, came across this one and I decided to check it out immediately. It’s actually kind of funny that I can’t go to a library without checking out a book. It’s just not possible. As described in the abstract from Goodreads, The Summer Book is a short story collection that features three people and an island. The main characters in the stories are a six-year-old Sophia and her grandmother. The third character, Sophia’s father, is mostly pictured in the midst of work and thus rarely takes part in the discussions and adventures. The short story collection begins with spring when the family arrives to the island, follows the characters through the summer, and ends with the arrival of autumn. The language in The Summer Book is simple and the stories don’t have big plot twists or suspense building. However, it is the simplicity and tranquility that create the impact of the stories. Especially the discussions between the young granddaughter and the old woman present interesting contrasts between the characters’ views. The themes in the book are love, longing. loneliness, death, religion, work, and many others. My favourite story must have been The study on local bugs where Sophia writes a book on worms and other bugs and how to treat them. I enjoyed this book very much and read it in the course of two or three days. In the end, the summer was like a human life, from birth to death, and closing the covers in the end felt like saying goodbye to an old friend. 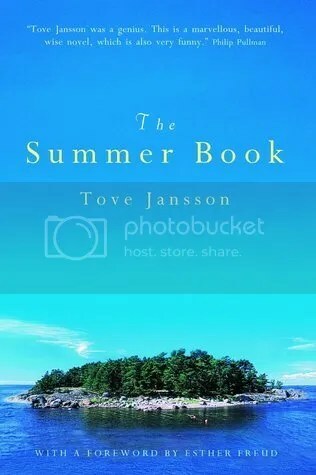 In fact, the island described in The Summer Book is said to be very similar to Klovharu, an island where Tove Jansson spent her summer months. In the biography Life, Art, Words The Summer Book is described as an ode to this island and its habitats, the Jansson family. The book truly reveals the skill of a writer who has a determinate mind and an eye for delicate details. The Finnish-Swedish writer and artist Tove Jansson achieved worldwide fame as the creator of the Moomin stories, written between 1945 and 1970 and still in print in more than twenty languages. However, the Moomins were only a part of her prodigious output. Already admired in Nordic art circles as a painter, cartoonist and illustrator, she would go on to write a series of classic novels and short stories. She remains Scandinavia’s best loved author. Tove Jansson’s work reflected the tenets of her life: her love of family (and special bond with her mother), of nature, and her insistence on freedom to pursue her art. Love and work was the motto she chose for herself and her approach to both was joyful and uncompromising. If her relationships with men foundered on her ambivalence towards marriage, those with women came as a revelation, especially the love and companionship she found with her long-time partner, the artist Tuulikki Pietilä, with whom she lived on the solitary island of Klovharu. In this meticulously researched, authorised biography, Boel Westin draws together the many threads of Jansson’s life: from the studies interrupted to help her family; the dark shades of war and her emergence as an artist with a studio of her own; to the years of Moomin-mania, and later novel writing. Based on numerous conversations with Tove, and unprecedented access to her journals, letters and personal archives, Tove Jansson: Life, Art, Words offers a rare and privileged insight into the world of a writer whom Philip Pullman described, simply, as ‘a genius’. The year 2014 marks the 100th anniversary of Tove Jansson’s birth. Growing up, Tove Jansson’s Moomin characters offered a fantastic world of adventure and excitement. My mother used to go to the library and bring back two Jansson books: one Moomin book for me and my brother, and one adult book for herself. I guess love for Jansson is a family trait. Nevertheless, the author has always carried a certain mystery around herself. Attending the Helsinki Book Fair last autumn, I noticed that the approaching anniversary of Tove Jansson was starting to show in the stalls and flyers and decided to “some day find out more about Tove Jansson”. 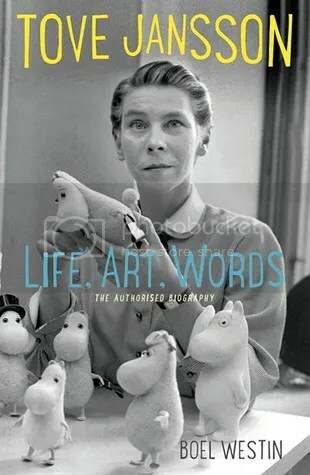 Tove Jansson: Life, Art, Words is the first and probably the most in-depth biography written about Tove Jansson. It was originally published in 2007 (in Swedish), and has been recently translated and published by Sort of Books. Boel Westin, a Swedish professor on Literature, started the project when Tove Jansson was still alive, and after her death had almost unlimited access to her files, studio, and correspondence. 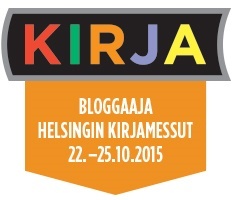 She also interviewed Tuulikki Pietilä, Jansson’s long-time companion, and people who worked with the author. To say the material was sufficient would be an understatement. Westin writes chronologically, focusing on Jansson’s literary works (she was also painter and cartoonist). The book introduces Jansson’s family, describeds her years of studying art and the effect that the raging WWII had in giving birth to the Moomin. She devotes a considerable amount of pages to the literary analysis of Jansson’s books and their themes. For me, it was immensely fascinating to see her pull different aspects and elements out of books that I’d read a long, long time ago but still remembered. I kept pausing to think about the different experiences the readers have, based on their knowledge of the context and the author. I loved how Boel Westin constructs the space and time around the author so that I could almost feel what she was feeling at those moments. I don’t read much non-fiction, and was expecting this to be dry and long-winding, but in fact it kept me up for late hours, hooked on the “story”. It’s wonderful, and I definitely recommend this book to everyone who wants to learn more about Tove Jansson or the Moomins! As 2014 marks the 100th year anniversary of Tove Jansson, many bloggers are celebrating this through reading and reviewing her books. I’ve only ever read Moomin books and cartoons, both of which I read when growing up. This year, I hope to read at least 4 adult books written by Jansson (in addition, I’d love to read the new biography written by Tuula Karjalainen – which will be published in English by Penguin!). I’ll probably end up re-reading some of the Moomin books too, but I hope to focus on the adult novels that are new to me. For more information about the celebration year and the global events, visit the Tove100 web page.